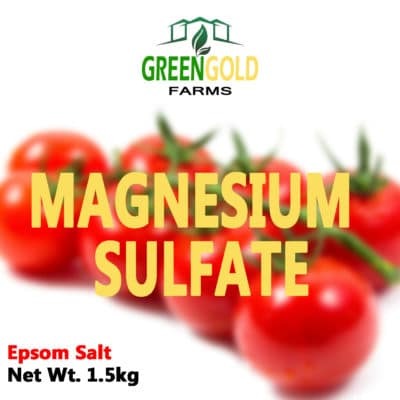 Contains essential amino acids from fermented fish, molasses, and soya beans. Enhance photosynthesis and plant physiology. Improve taste, color, size, and sugar content of fruits and vegetables. 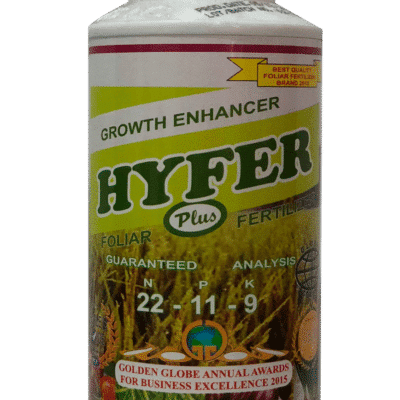 Help induce flowering and uniform maturation. 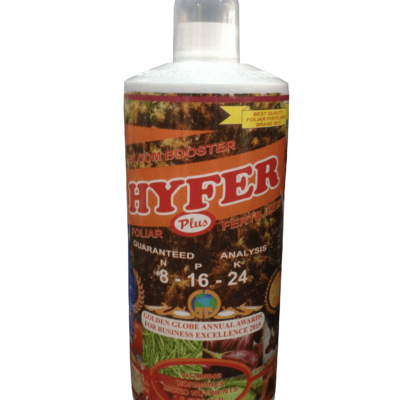 Helps to keep long lasting freshness of vegetables, fruits and flowers. Based on Japanese research and technology. The base material of ENERGYC Fish amino acids and organic acids bio-stimulant 250ml is composed of the extract of the fermentation processes of fish emulsion, molasses, and soya beans. 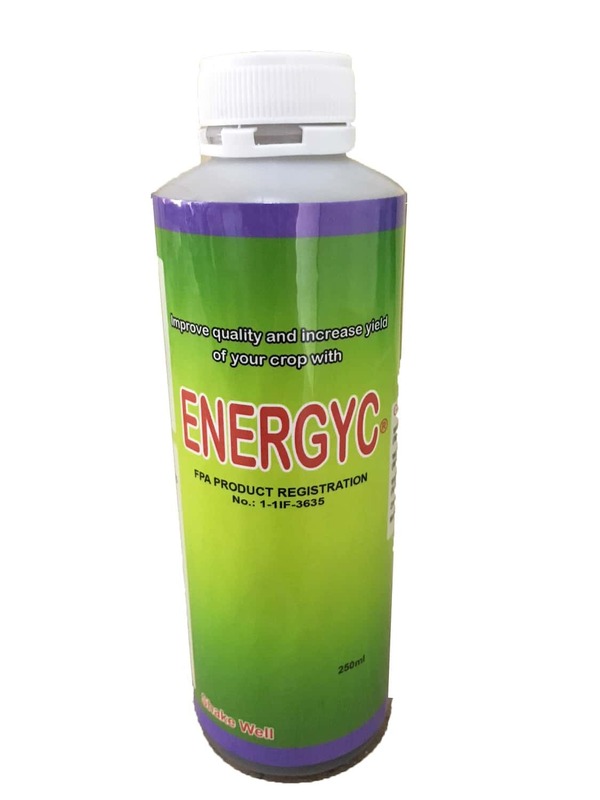 Rich in amino acids, nucleic acids, organic acids and other vitamins in its natural form, ENERGYC is easily absorbed via the plant’s stomata . Plants use amino acids to compose various kinds of enzymes that are required by the plant to grow into its full potential. Amino acids have various prominent functions in plants. Besides their usage during protein biosynthesis, they also represent building blocks for several other biosynthesis pathways and play an important role during signaling processes as well as in plant stress response. Amino acids influence a number of physiological processes such as plant growth and development, intracellular pH control, generation of metabolic energy, and resistance to both abiotic and biotic stress. Vegetables: Spray ENERGYC along with your favorite macro-nutrient fertilizer solution to crops every 7-10 days. 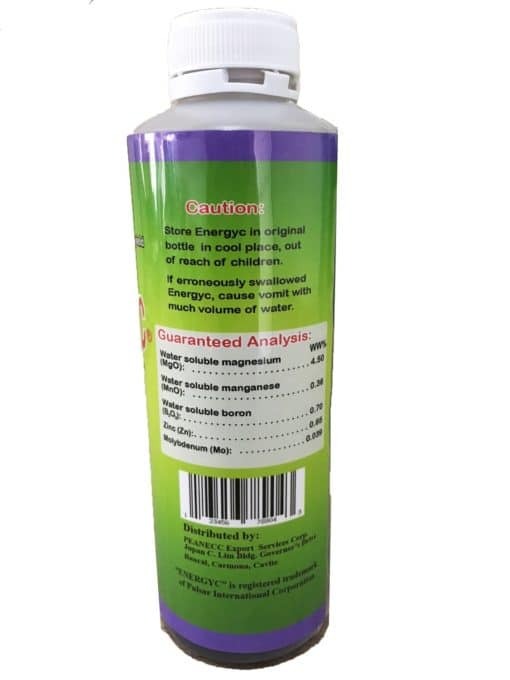 You can also mix with pesticide and insecticide. For best results, use a sticker based surfactant like 3SE Seaweed Concentrate to improve effectivity of spray. 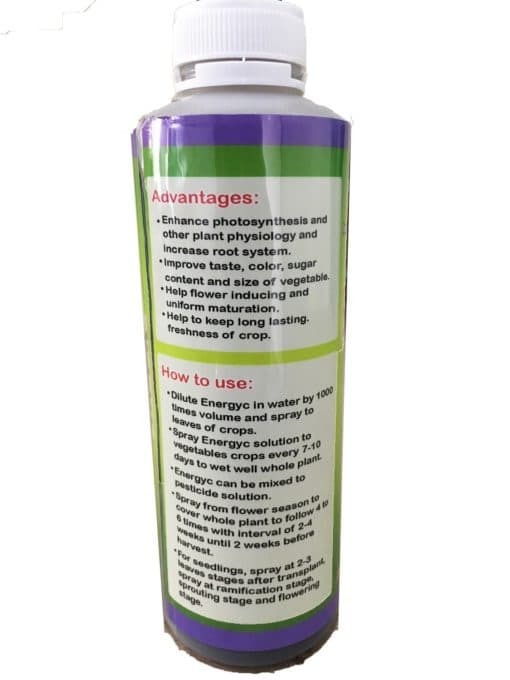 Fruits: Spray to induce flowering and continue in 2-4 week intervals. Hydroponics: Add 1ml of ENERGYC to every liter of water in reservoir.